Food, we can’t live without it, and fortunately most of us never have to. Yet every day 842 million people in the world do not have enough to eat with 52 million children under the age of 5 suffering from acute malnutrition. In addition to the people who suffer from food shortages are the 2 billion people who suffer from micronutrient deficiencies,including the 165 million children under the age of 5 who are stunted (an indication of chronic malnutrition). The majority of these people have enough food to satiate their appetite, but lack the food quality and dietary diversity required to provide all of the essential nutrients required for growth and good health, a condition called hidden hunger. The manifestation and consequences of chronic malnutrition are less striking and visible than those of acute food shortage, nevertheless, the consequences remain severe, no more so than for the 165 million stunted children. At odds with the picture this paints are the 1.46 billion people on the planet who are overweight and obese. But in fact these are 2 parts of the same puzzle. Malnutrition in all its forms encompasses both over and under nutrition, and in fact many of the 1.46 billion overweight and obese people also make up the 2 billion suffering from hidden hunger. The linkages between under and over nutrition are proving to be far more fundamental than many of us first thought. We know now low and middle income countries bear the brunt not only of under nutrition, but also over nutrition. The number of overweight and obese people in developing countries is currently around 904 million, and rising rapidly. This phenomenon has given rise to the term ‘double burden of malnutrition’. So the question is how do we change this? While reducing hunger is often seen as the imperative, I think we need to go much further, and ensure that people not only that people have enough food to eat, but enough of the right foods. As with many things, the first step to action is showing the consequences and cost of inaction. It has been estimated that poor nutrition is the cause of 45% of all deaths in children under the age of 5, that is 3.5 million children annually. Both as a direct result of acute food shortage, but in the majority of cases, as the indirectly result of chronic undernutrition compromising immune function. The impact of chronic malnutrition in childhood has lasting implications for those who survive into adulthood. The effects of stunting are largely irreversible after a child’s second birthday, with implications for their schooling and later earning potential. It has been estimated that malnourished children are at risk of losing 10% of their lifetime earning potential, while at a larger scale it could be costing some nations as much as 3% of their GDP. The consequences of being overweight and obese are equally vast; resulting in increased risk for many non-communicable diseases such as type 2 diabetes, hypertension and some cancers. The disease burden these NCDs place on many low and middle income countries is now greater than that of the traditional communicable and infectious diseases. The economic impact of obesity and the associated chronic diseases are equally staggering at both an individual, national and global level. Linking under and over nutrition with chronic disease? I’m certainly not going to suggest that obesity and overweight are simply a result of poor nutrition in childhood – it is far more complex than that – but there are linkages. With chronic disease being a major health challenge all over the globe, and under nutrition remaining a significant problem in certain areas, it is essential to understand these linkages so to inform prevention strategies that address these issues in conjunction. David Barker was the first to associate low birth weight with chronic disease in later life in the 1990s, something that later became known as the ‘Barker Hypothesis’. We are building our knowledge around this topic, and evidence now suggests that those who are exposed to undernutrition – in there mother womb and throughout childhood – have an increased risk of developing metabolic disorders, hypertension and other NCDs in later life. However, there is currently a lack of understanding of the mechanism for these associations; disciplines such as epigenetics are emerging as central to future advancements in this area. As we develop our understanding of these linkages we will be better able inform policies and have an impact on all aspects of malnutrition. I said at the outset that people eat food, and that is certainly true. However, changing a global food system will take time, but there are children and mothers been who suffer the consequences of the current systems failings today. We need to seek both short and long term solutions to tackle these issues. This is where the role of nutrition comes into its own. Many people have spoken of the landmark series of paper on maternal and child nutrition published in the Lancet in 2008 (And more recently the 2013 series). 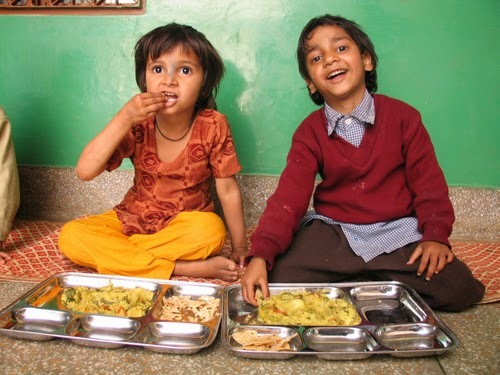 The 2008 series was a turning point that largely galvanised the nutrition community, movements such as Scaling Up Nutrition (SUN) have since provided a platform from which action can be taken. We have a strong evidence base for importance of nutrition from conception to a child’s second birthday – known as the 1000 day window. This is a vital window for both child survival, growth and development and also to reduce the risk of various non-communicable diseases in later life. We also, and just as importantly, have a number of evidence based interventions – such as micronutrients interventions – that when delivered to those in need not only save lives, but also improve quality of life and earning potential. There are equally economic incentives for nations to invest in nutrition, with significant returns on investment to be gained. We should realise that while direct nutrition interventions have massive potential, they should only be seen as a stopgap while the food system develops into one that can feed and nourish the world, how long this will take I’m really not sure. Top of the list has to be investing in women, it is simply a must. Women produce more than half of the worlds food, yet own a fraction of the land and receive very little investment. Not only does it make sense from an equity perspective, but also an economic and political one. While i say this is a long term solution, I mean it from a sustainability perspective, rather than meaning it is something to consider for the future. We should invest in women now, and reap the rewards this brings. The other while I was reading a blog by Richard Smith, there was a fact that I found surprising. In many African countries agricultural yields are similar to those of Roman England. This is striking and speaks volumes of the global inequity. Increasing the yields through sustainable and simple technology could make a major difference, while equally reducing the vast amount of food that is wasted would also go someway to solving the problem. There are examples of countries that have significantly decreased the burden of under nutrition through the right mix of policy and investment in recent years. Brazil is one example, where economic development and social safety nets have helped to reduce under nutrition. However, this is somewhat of a conundrum, because while economic growth has been shown to reduce undernutrition, it may also increase the prevalence of obesity. Such data warns of the need for careful policy implementation to ensure that economic growth is not a double edged sword for nutrition and health. The global food system is askew, billions of people are impacted by not having enough to eat or the right food to eat, the consequences of which resonate not only at a public health level, but also at an ethical, political and economic one. The solutions are not easy or quick, but the benefits of striving for them are numerous, while the consequences of not are dire. 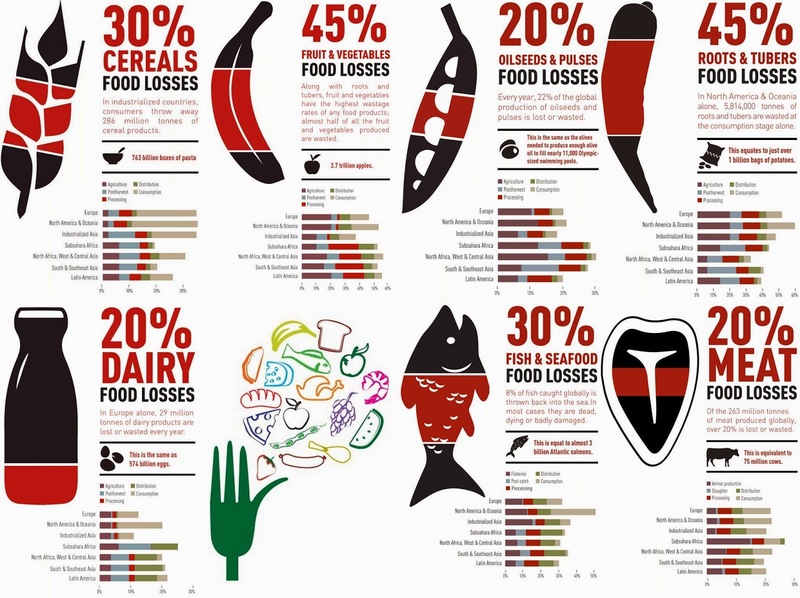 This should make fixing the global food system a priority for all.